An excellent climbing experience on hard, clean rock, but also a real breakaway in the middle of the Natal Bushveld. 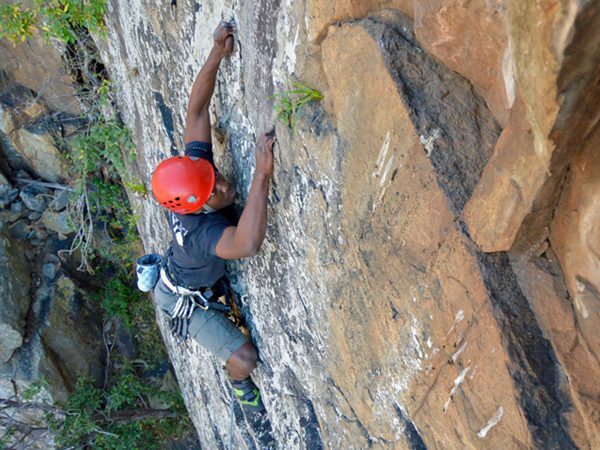 This area consists of two major climbing areas which is separated by the White Umfolozi River. 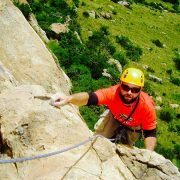 Climbing at this crag is plentiful, with a very good mixture of sport and traditional climbing. 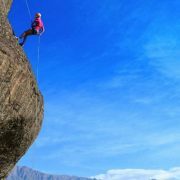 It is also very friendly towards the novice climber as well as those comfortable at easier grades. Accommodation and facilities are rustic and comfortable, just the way it should be in the bush.